The concrete realities in the lives of young people, which we faced during the first week of this Synod, reminded our Group of the young St Augustine whose heart was restless - weary from seeking God in passing attractions. In this restlessness some young people are already hearing Jesus asking them in their hearts: “What are you looking for?” Others may be brought to an encounter with Jesus by friends, or other significant people in their lives - just as Andrew introduced Jesus to Simon Peter, saying: “We have found the Messiah (Jn 1:41)”. As we began our reflection on “Vocation”, in Chapter Two, we were moved to quote words of Blessed John Cardinal Henry Newman:“God has created me to do Him some definite service; He has committed some work to me which He has not committed to another. I have my mission... I have a part in this great work; I am a link in a chain, a bond of connection between persons (Meditations on Christian Doctrine)”. 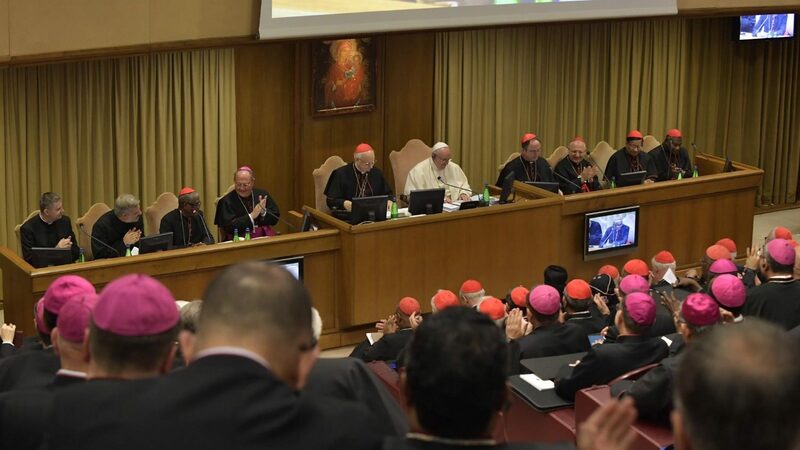 We recommend that the Synod final document presents a clear definition of vocation, rooted in a theology, anthropology and ecclesiology which reflect the signs of the times. Given that our Synod might be addressing not only Catholics but “all people of good will”, - including the so-called “nones”: those of no religious affiliation - we considered the fundamental human vocation as a vocation to love, which for Christians bears a name, and that name is Jesus. We see vocation as a voyage of search and discovery. The term “vocation” itself is much debated and has been usefully unpacked in previous Church documents including “In Verbo Tuo” from the Congregation for Catholic Education (1997). We offer a modus exploring various dimensions of vocation. Our Group emphasised that underlying these dimensions is the fundamental call to align one’s mind and life to that of Christ, and to the will of God - the call to discipleship, which includes the call to eternal life. Gaudete et Exultate invites everyone to share deeply in the life of Jesus Christ. His life is the model, the exemplar of vocation, including his struggle with His Father’s will in the Garden of Gethsemane, and his total self-giving on the Cross - the highest expression of His love and the fullness of His vocation.